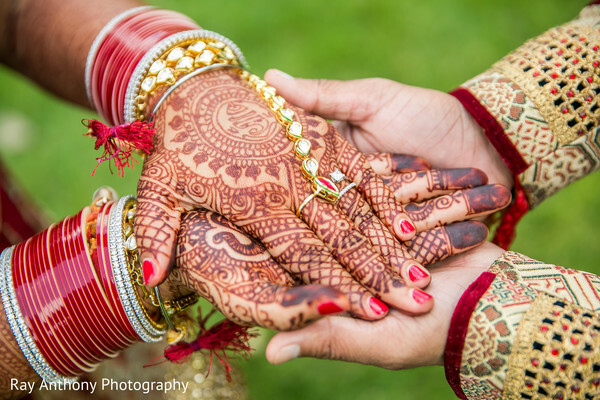 We’re in Auburn Hills, MI today celebrating the nuptials of Ritu and Randy and their big Indian bash at the Auburn Hills Marriott Pontiac. 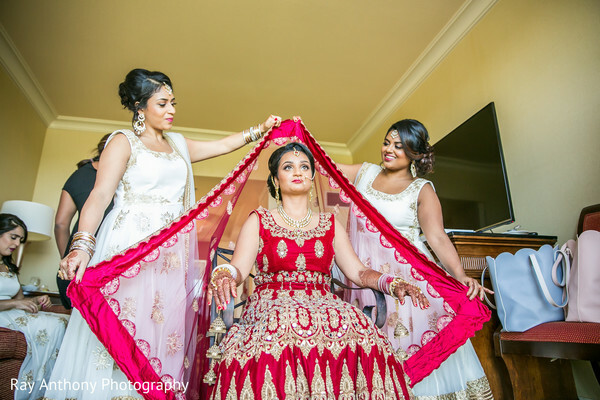 The bride donned a sparkling red lengha complete with a kundan jewelry set that made her resemble a Queen. She was styled to perfection thanks to the draping talents of Makiaj Beauty. 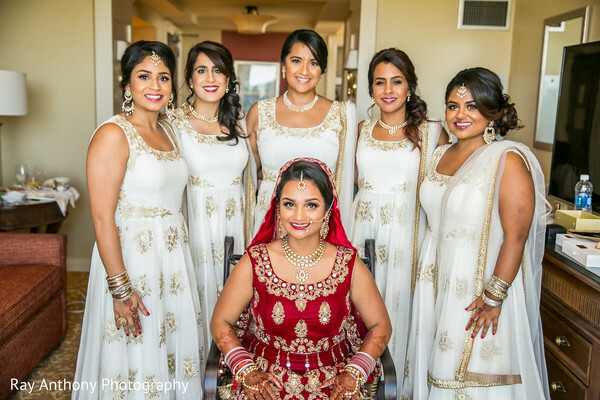 They made sure that not a pin was out of place and all the pleats of Ritu’s lengha moved effortlessly as she walked down the petal covered aisle to her mandap. 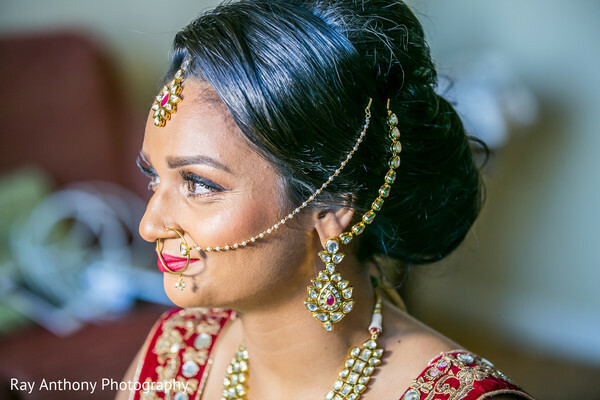 And no bridal routine would be complete without the perfect makeup routine, so Makiaj Beauty was brought on to transform this Maharani into a knockout. We’re obsessing over her smoky eyes and soft updo. Her look was mesmerizing from head to toe. 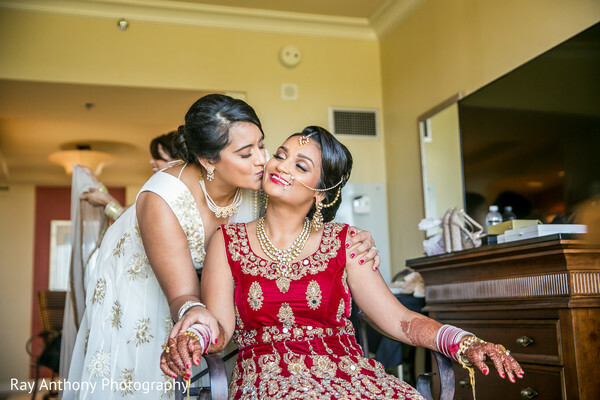 Once Ritu was ready for her first look, she entered the magnificent Auburn Hills Marriott Pontiac venue, which was decked out in glittering decor elements from floor to ceiling by the visionaries at Top That! Event, who were the event designers and decorators of the spacious quarters. Additional planning and design was completed by Utsav Planners. The space was a total fantasy! 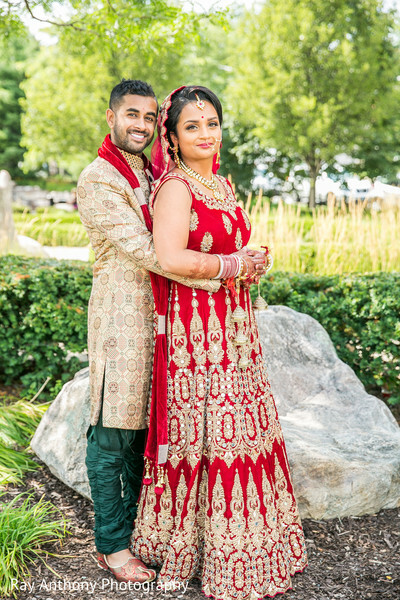 There, Randy awaited his bride in a matching sherwani, and their sweet reunion brought tears to our eyes. 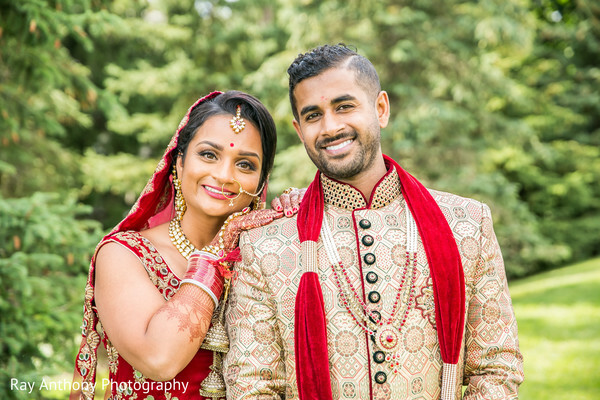 We’ll dive into more of the ceremonial action and reception dazzle (featuring tunes by DJ Ice Productions and savory bites by Rangoli!) in our next post. 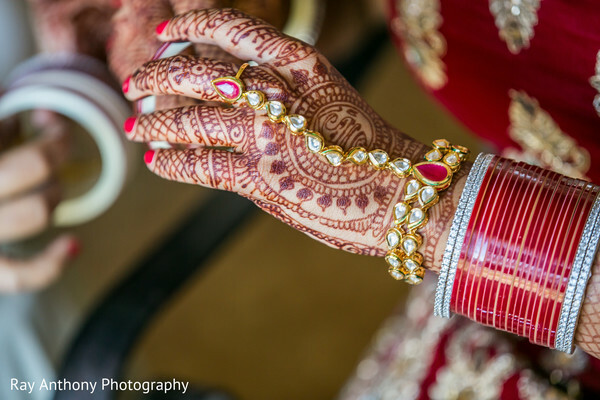 Ray Anthony Photography doubled down on the event and captured all the lovely snaps in our full gallery. Ceremony deets coming right up!